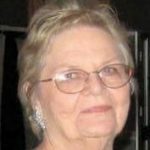 Joy Nell Robinson Williams Hart, 82 of Azle, has left her home that she truly loved to reside in a place she’ll love even more. Joy was born on February 12, 1936 to Clayton Plez and Fay McDaniel Robinson. She was an artist and loved to paint. Joy was a care giver to all. She was the oldest of five children. She had four, then five children, and when her youngest started school she started school, getting her Associate degree and became a Registered Nurse. She was Director of Nurses at Azle Hospital for years. So to say she was in charge a lot would be an understatement. She loved her family and was proud of each and everyone of them. A friend said to me that she can’t imagine a world without her in it. She will be missed by many. Survivors: include her husband, James Hart; children, David Willie Williams, Dale Williams, Nancy Williams Ruffin, Carolyn Williams Stom, and Angela Hart Walker; grandkids, Christi Williams, Luke Williams, Kaleb Williams, Tabitha Williams Smith, Sarah Williams, Bailey Williams, Nikole Tabarez, Blair Frey, Jessica Baker, Jennifer Rushing, Ashlyn Walker; great-grandkids, Rylan Pack, Kaden Pack, Collin Williams, Trevor Neff, Will Neff, Eryn Slimp, Baylor Frey, Ade Tabarez, Nikolas Tabarez, Macie Baker, Briggs Baker, Scarlett Rushing, Ollie Williams, and Minnie Williams; and one on the way, and two great-granddogs. With Heartfelt Sympathy to the Hart Family, May you rely on the God of all comfort to help you to endure the days ahead. "God is our refuge and strength" (Psalms 46:1).